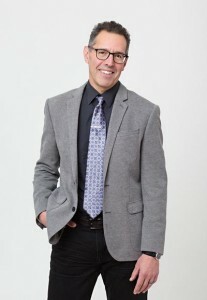 The Council for Advancement and Support of Education (CASE) has just named Brian Alegant, Oberlin Conservatory Professor of Music Theory, as 2015 U.S. Professor of the Year. Alegant is a 12-tone specialist. At first thought, many questions arise. How do they evaluate and compare 400 professors from the entire spectrum of university curriculum to select four winners? What is the criteria, and how can such wide cross-disciplinary norms in teaching be accurately and meaningfully defined? How can they compare the challenges faced by someone working with Oberlin’s highly motivated, pedigree children that attend one of the most expensive colleges in the world, to the vast majority of professors who are teaching average students and face very different and far more difficult challenges? Is this an example of our educational system once again privileging the privileged in an arbitrary, biased, and unjust manner? You make excellent points, sir, but beyond that the entire idea of “rating” professors is, to begin and end with, ludicrous. Do you know if this sort of thing is done in Europe? Obviously Socrates would have done poorly in the ratings while the much acclaimed Gorgias would have taken the prize. By the way, “criteria” is plural and necessitates using the verb, “are”. Or else using “is” necessitates using the noun, “criterion”. Thanks for the correction. I haven’t heard of professors being rated in Europe, but I haven’t looked into the matter. Word gets around however, and students try to get into the best classes. In almost all of continental Europe, private universities are forbidden by law, though small exceptions are allowed in some cases for specialized schools. In Germany the law even stipulates that all universities must have a similar quality. In continental Europe, university education is generally free, or close to it. There is no such thing as student debt. In Germany, there is a law called the Bundesausbildungsförderungsgesetz which awards all students below a certain income a monthly stipend for living expenses to help support their studies. I suspect most continental countries have a similar law. A very different educational world here. And if you look at world ratings of universities, either from the UK or Asia, Germany fares poorly. UK Times has Germany with 1 school in the top 50 while the US has 29. So, they have succeeded in mediocrity. You get what you pay for. That’s why e.g. the Saint Mary-of-the-Woods College in Indiana is ranked at 4921 , whereas the Hanns Eisler Hochschule in Berlin, one of the top music academies in Germany and Europe is ranked 6671 at the University Web Ranking. Its the same for rankings from Asia; it doesn’t matter where they are made; same result. Your pointing out CERN, and characterization of it is totally bogus. Every BIG research facility is now international because research funds are scarce and duplication is a waste of resources. Its no monument to the higher educational systems in Europe. Look at the top 10 producers of Noble Prizes: 1 – 8 (in the USA), #10 is in Germany. WO – why are you compelled to criticise and find the negative in everything? Not everything is a scandal. And then there’s Oberlin which costs $65,000 per year. It would take more than the school’s carefully wrought and well-meaning tokenism to cover up these social inequalities. WO, thank you for the suggested reading. None of what you say is untrue. Oberlin has a long history of admitting non-white students…in fact, one of the oldest on the continent. The town was an important stop along the underground railroad. Of course, none of this has anything to do with Professor Alegant’s award. And as a side note, you’re not the social justice warrior you think you are. European readers might note the methods of denial Americans use to rationalize and ignore the country’s grotesque social problems. They are to be removed from discussion and categorized as irrelevant, or addressed with a relatively distanced tokenism and lip service that serves as a substitute for social policies that would actually solve the problems. Ironically, this is exactly the mentality our system of elite education for the privileged produces — a sense of insularity and entitlement that largely inures its students, alumni, and faculty to social injustice. A cultural country club for the privileged like Oberlin can thus sit 30 miles from a major city where two thirds of the people in a racially informed class system are functionally illiterate. 5.6% of the students at Oberlin are African-American, less than half the percentage they represent in American society as a whole. Oberlin’s ratio of African-Americans is about one-tenth of nearby Cleveland’s, which is another aspect of the stratifications our educational and social systems produce. Oberlin is by no means alone among schools in these problems. You have a serious chip on your shoulder, Mr. Osborne. Didn’t make the short list for a composition job at Oberlin? None of what you are saying is untrue, and I don’t hear anyone arguing with you. European and all other readers might note the hubris in your approach to this topic. If Oberlin is doing so little, what is it YOU are doing beyond ranting 24/7 on an arts blog? The statistics you reference are alarming, but they aren’t news to anyone. They are indicative of a serious inequity problem in American society, one that a 3000-student liberal arts college in a cornfield isn’t going to change by itself. Oberlin does, however, provide an intellectually stimulating environment that produces numerous alumni who make addressing societal problems their life’s work. Again, all of this has nothing to do with Professor Alegant’s much-warranted achievement. Step off your soap box and let him enjoy his acclaim. Your opinions reek of a self-righteous, envious old man struggling to be relevant where he isn’t. Congratulations to Brian Alegant and to Oberlin for this much deserved recognition by CASE. I hope that we are all pleased to see our profession recognized at the national level.